I sincerely hope I don't get that song in your head, and if I did soon you'll be singing a different one if you read on. I guess I'm hung up on letters at the moment. I am having so much fun with #the100DayProject and my #100Bs that I am throwing in an A and a C! (If you by some fleeting chance have missed out on all the times I've mentioned my 100 day project of 100Bs, follow along on instagram where I post my daily small painting of something beginning with B. Make a request if you'd like!) 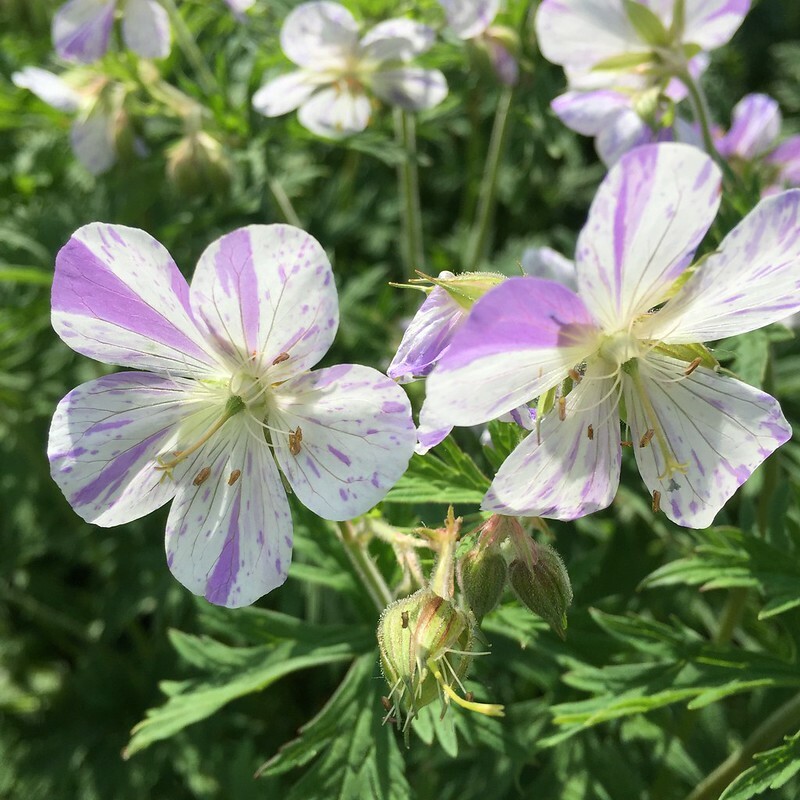 Read along to see what ABCs are blooming right now in the Violet Fern garden. 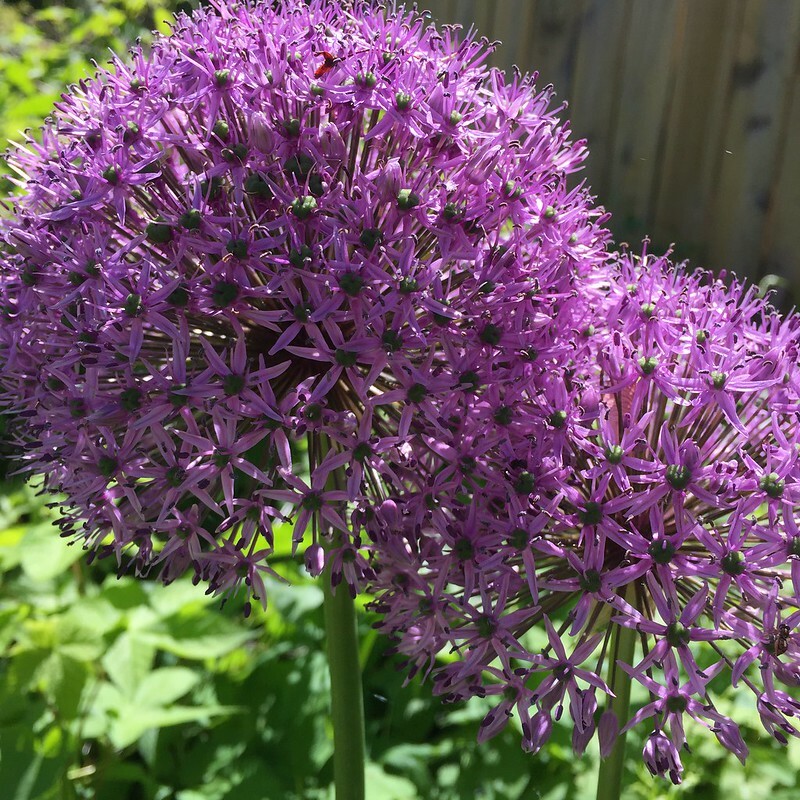 ALLIUMS! 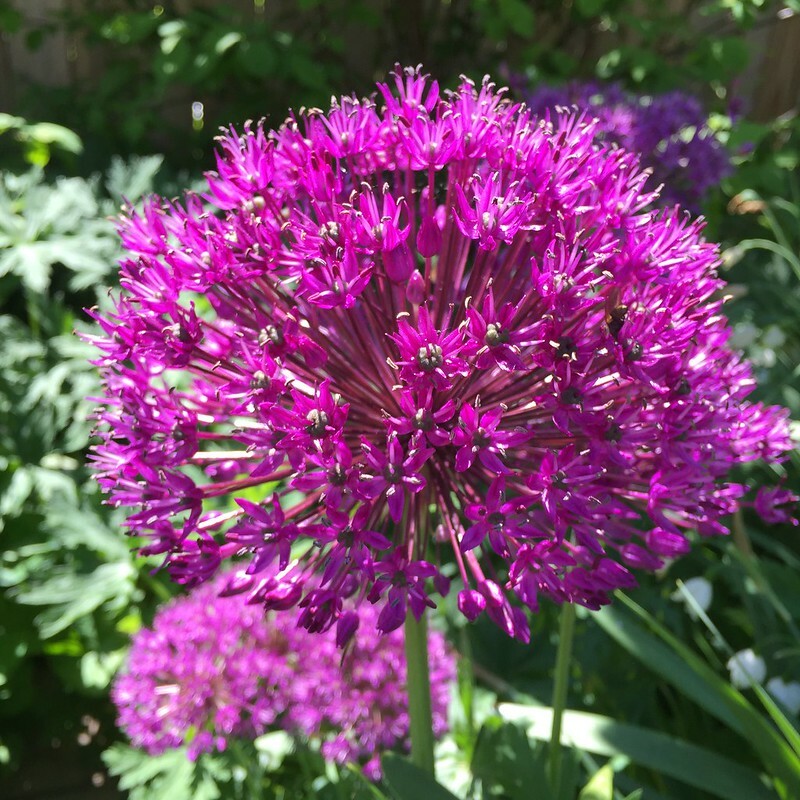 I am so thrilled with all the Allium bulbs I planted last fall. They really add some pop to the garden at this time and while some are already fading, new varieties are just coming into bloom. They are such an architectural marvel in the garden. 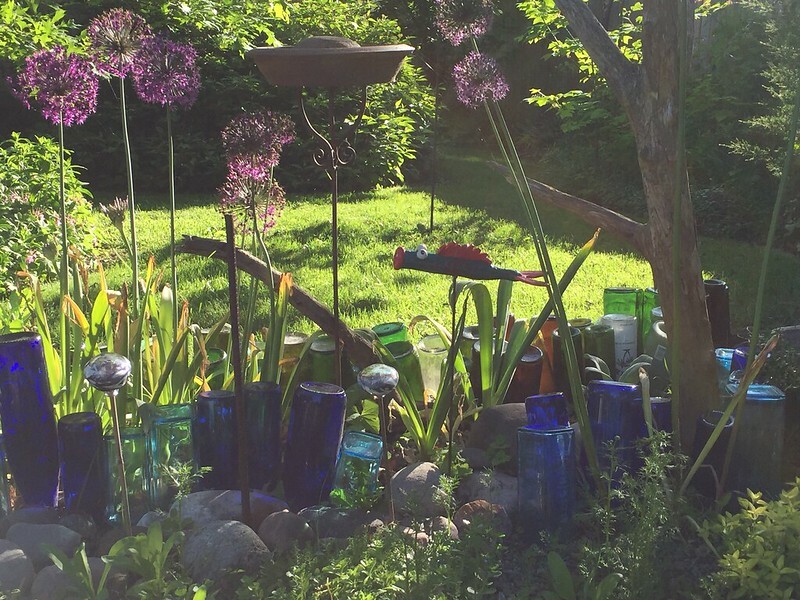 Here, you can see the Allium bouys "floating" along my "river view" garden. I have yet to paint the fish that belong atop the rebar stakes but it is closer to the top of my list. I love sitting here on this patio in the Potager with this "river view" of blue bottles which cast a watery blue hue on the interesting network of plants on the sandy bottom mulched in with pea gravel. I just acquired Dianthus simulans to plant here, too — can't wait! 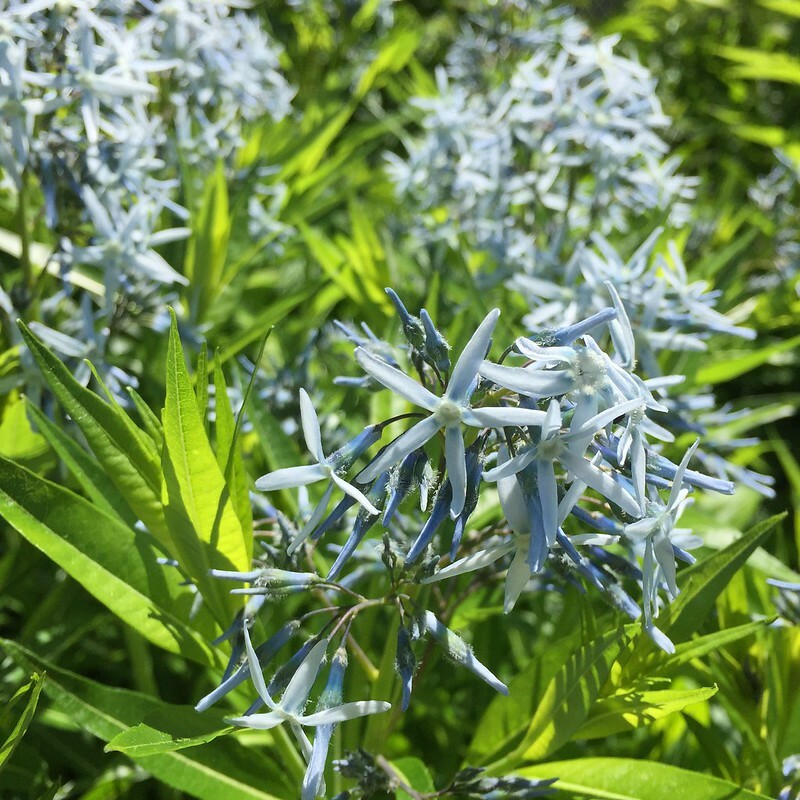 One of my favorite native plants is also now in bloom, Amsonia, commonly known as Bluestar. I have three different varieties planted together. After the bloom, the Fall show is almost just as stunning as its foliage turns a brilliant yellow. 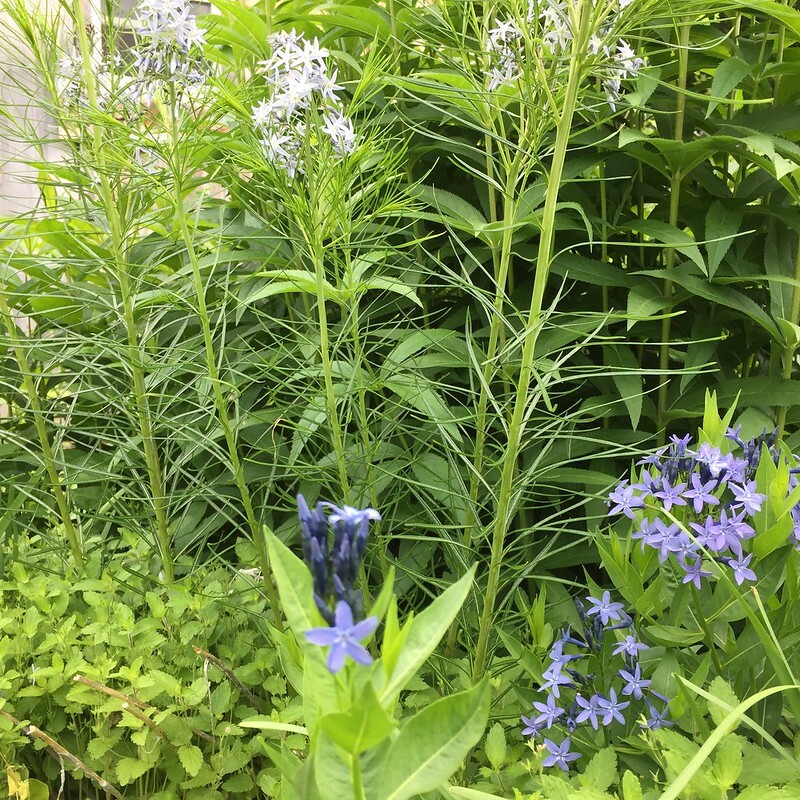 I love the ferny leaf on Amsonia hubrichtii. Side note: I am not seeing as many bees and butterflies in the garden this year as usual. I am wondering if it has been our rather wet weather and Spring. 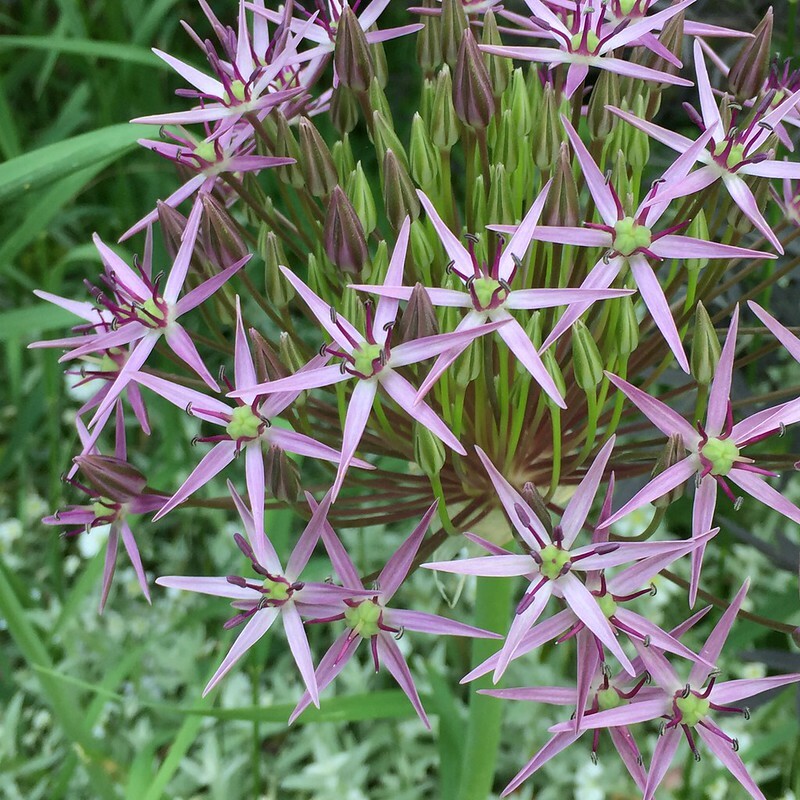 What are you noticing in your own gardens? If I take a close look at the Ninebark and Cranberry Viburnum blooms, there are plenty of bees but usually more seem to fly around the whole garden. I do notice more mosquitos in the garden this year! Right now I am listening to a Cat Bird sing (not meow), right on time with the ripening of all my strawberries, the blackberries and soon to be blue berries and raspberries. Much more pleasant than the very hungry baby crow. BAPTISIA never fails to disappoint! It has become very large and in charge in my garden. I think a yellow variety would be nice to fit in some where but I have to stop myself as I am transitioning my energies to the lake property and merely trying to gain a bit of control and order in the Violet Fern garden. This means no more purchases! (Except seeds for veggies). It means native plant purchases only for the lake property. I did plant out some of my volunteer Cranberry Viburnum and trumpet vine at the lake over the weekend. I will feature the lake in a post very soon. I look forward to the "non-gardens" there, meaning I will only be enhancing the landscape with native plants. There won't be any babying, mulching, mowing, weeding, edging, etc. I love its natural state and only seek to add more blooms with a grow-or-not attitude. I came across some white spruce saplings that I also planted with the hopes of attracting more birds and wildlife in the far future. There are many, many birds there but I can never see them through the canopy! That's where identifying bird calls comes in handy. There's certainly no mistaking the call of a loon or whip-poor-will but knowing warblers' by sight and sound can take a lifetime of learning! 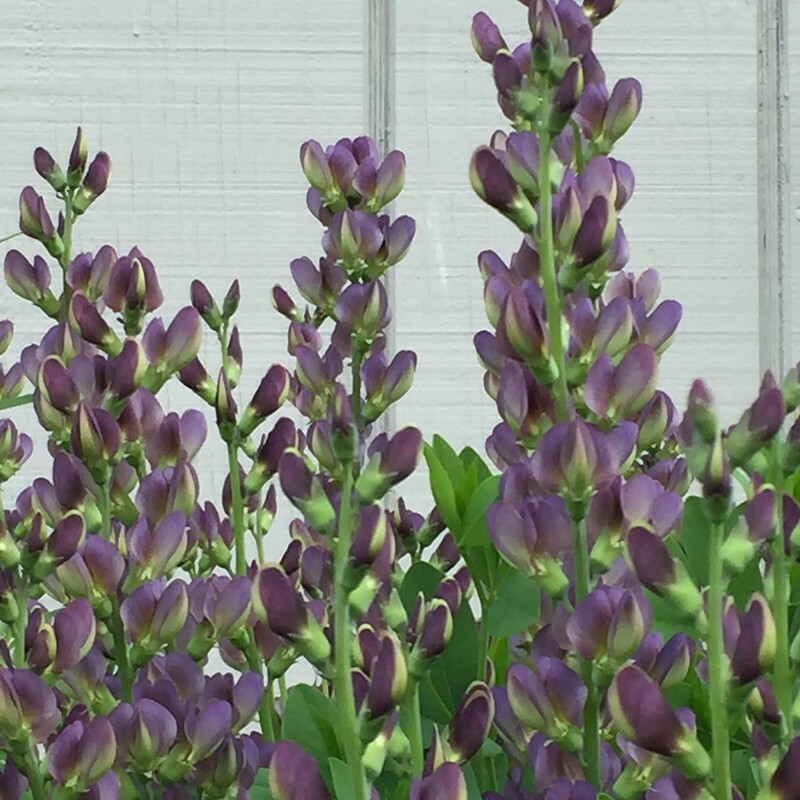 I was so taken with the Baptisia blooms that I painted them as a "B." 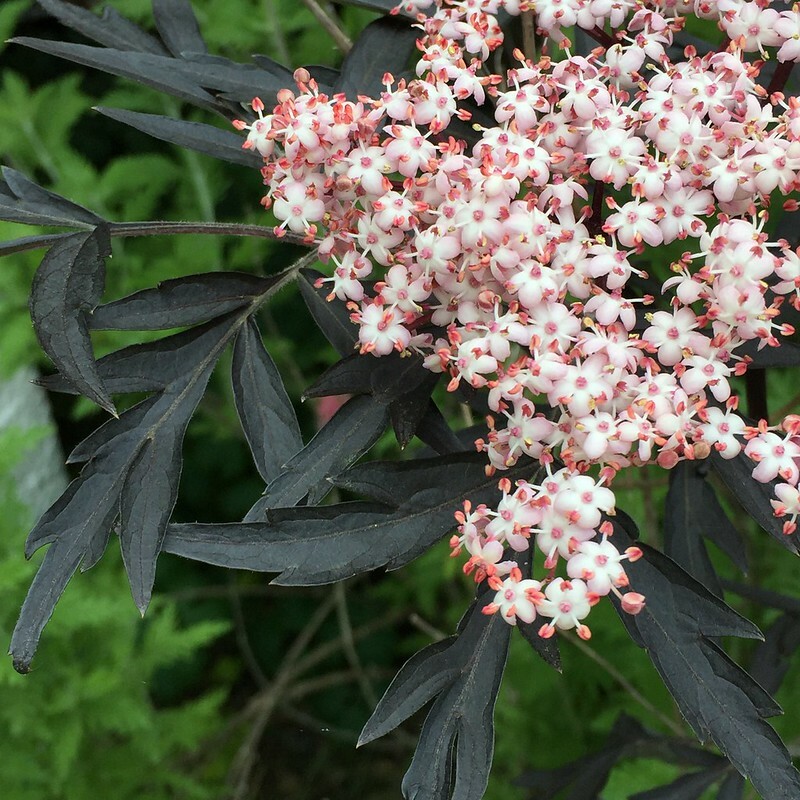 Black Lace, Sambucus Nigra, is stately this year. The mild winter was kind to her. She is in full bloom now and stunning! COLUMBINE TIME! 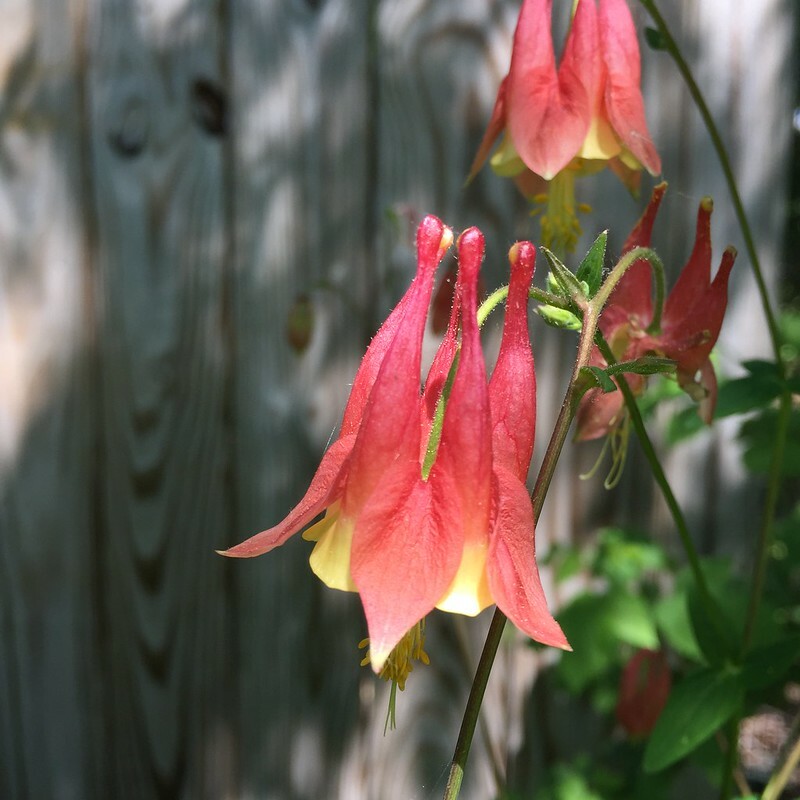 I was so thrilled to happen upon our native Columbine right here in my own garden! Then, I remembered vaguely emptying a packet of seeds a year? two years ago? in that section of the garden. I am delighted that one took and will encourage this plant to spread itself around. 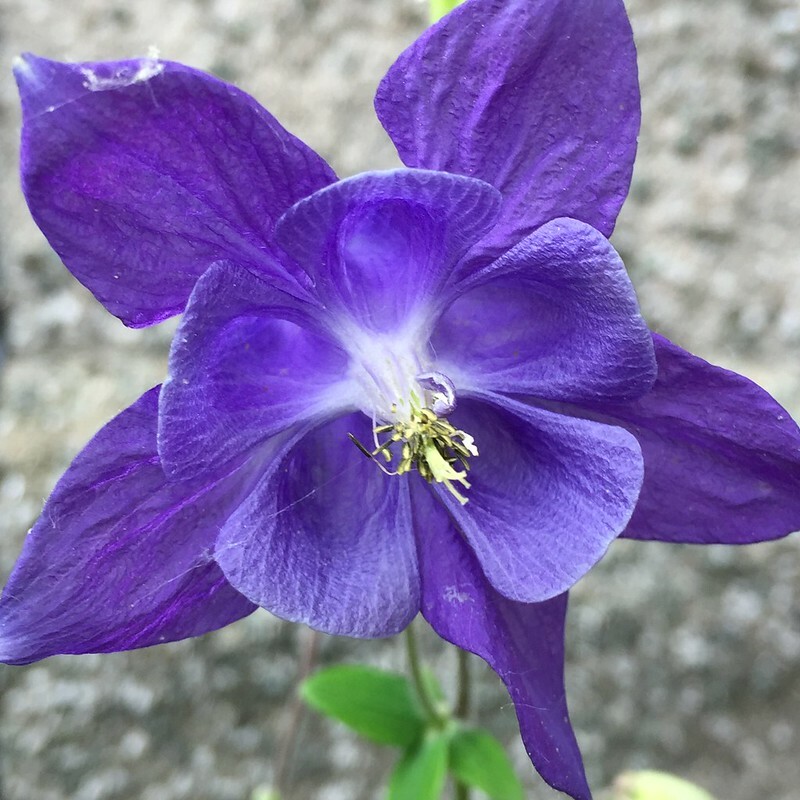 It is so beautiful and bloomed earlier than my other columbines, early enough to welcome back our hummingbirds of which it is an important nectar source for them early in the season and red in color by divine design. 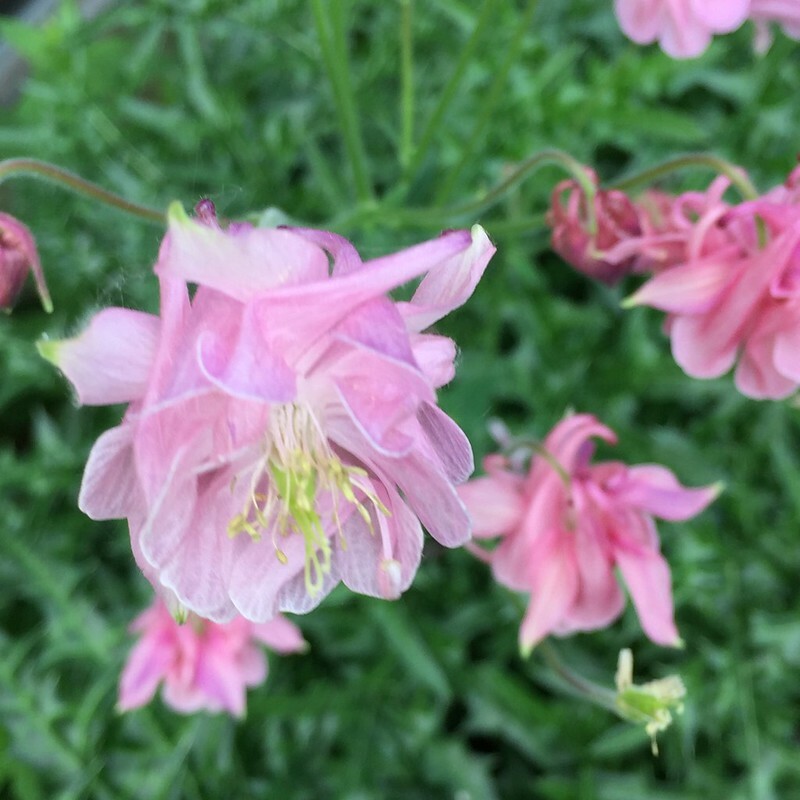 These frilly Columbines were here when we moved in but have relocated themselves everywhere and painted themselves in differing shades of pink. 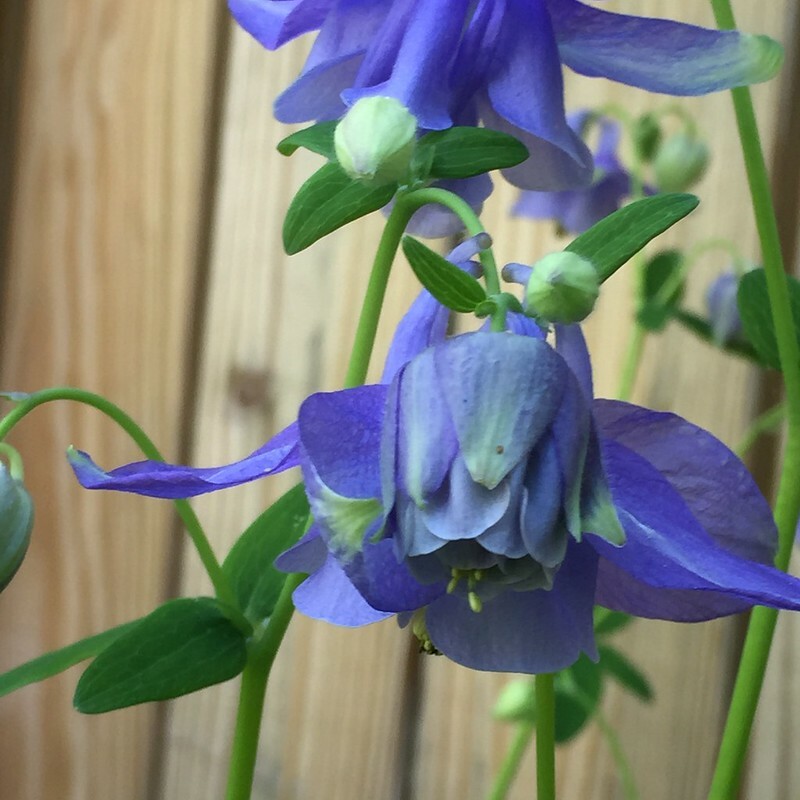 This pretty blue/purple Columbine I believe I gleamed from the Clayton Garden Club. It has also moved itself around much to my delight. 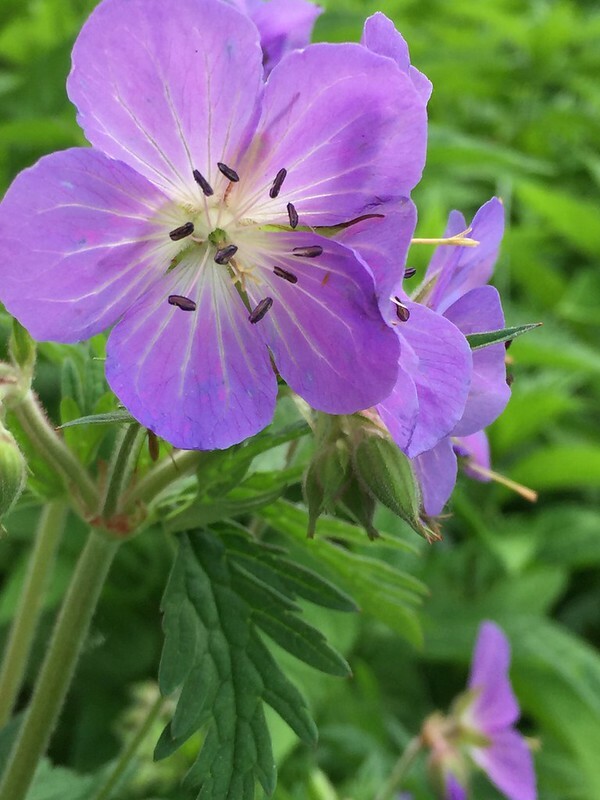 Cranesbill geranium is just beginning to open. The bees love this plant. I have some that are more blue, others that are more pink and another with streaks of white in the bloom which I think must be a virus of some kind? If only I had pursued a degree in horticulture instead of the arts. 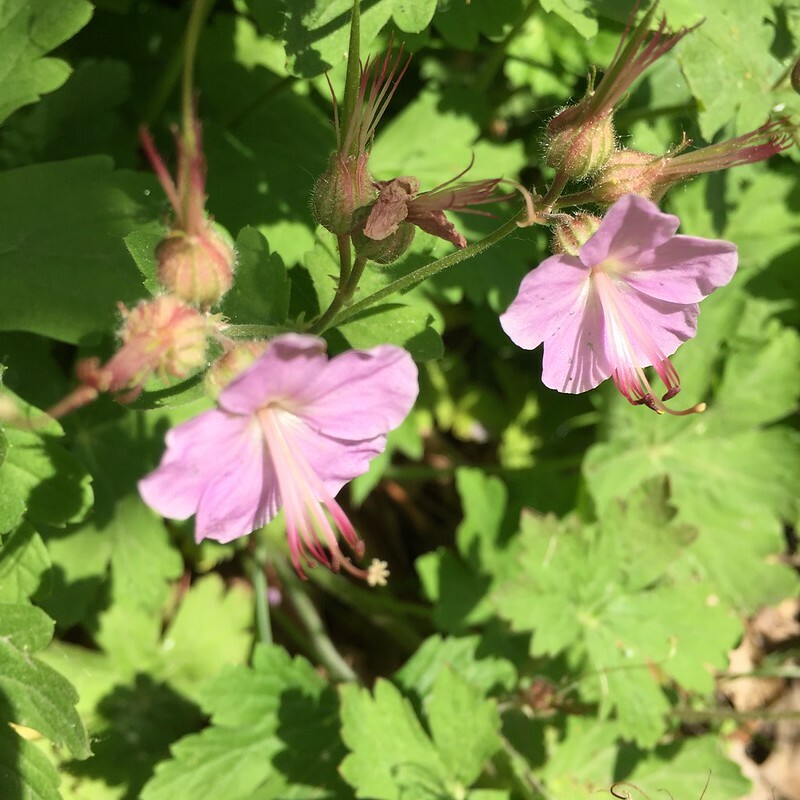 You know, I googled that geranium streaking flower and it turns out it has a name! Splish Splash. 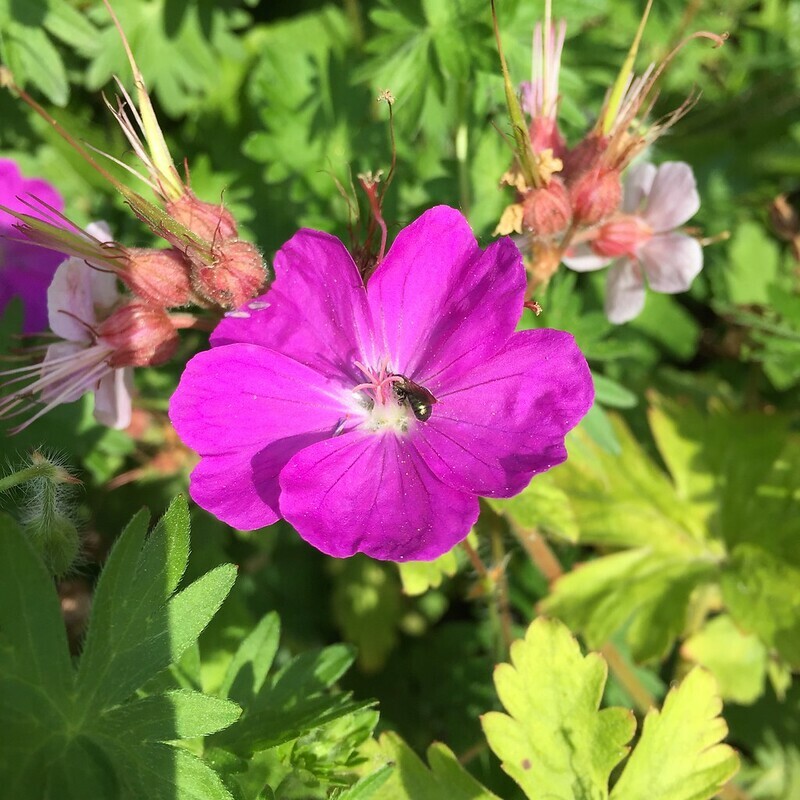 I can assure you I have never planted Splish Splash but I have let my geraniums go to seed (their seeds resemble a crane's bill and thus their name), and I'm thinking that is how Splish Splash was born into my garden. So there you have it, the ABCs of what's blooming. 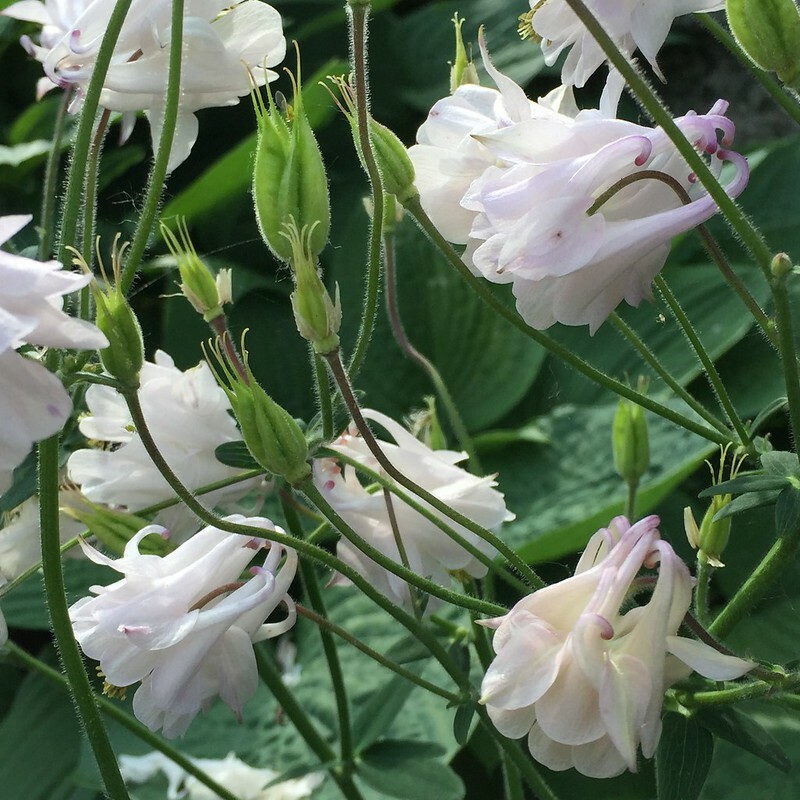 Sing Allium, Baptisia, Columbine! I continue to paint: Bs, a couple paintings started in Cedar Key that I hope to finish — one that's been on my list awhile, the orchid house in Puerto Vallarta botanical garden, and a colorful and large Grouper — the wooden fish (for the garden). I continue to tend to the garden which translates to ripping out Bindweed daily. My June mantra is weed, weed, weed. My basil and cilantro have refused to germinate thus far but I'm hoping for some results with this warmer weather and a bit of sun. I am able to harvest lettuce, spinach, arugula and strawberries right now among the perennial herbs such as thyme, oregano and mint. The garlic is tall and (knock on wood) so far clear of leek moth which invaded me last year, (of course, planting more alliums adds to the attraction). I do so love to eat fresh from the garden. I planted some Supertunias in the wine barrel this year at the base of morning glories and their wonderful perfume drifts into the house. Summer seems to be settling in. Life is good.